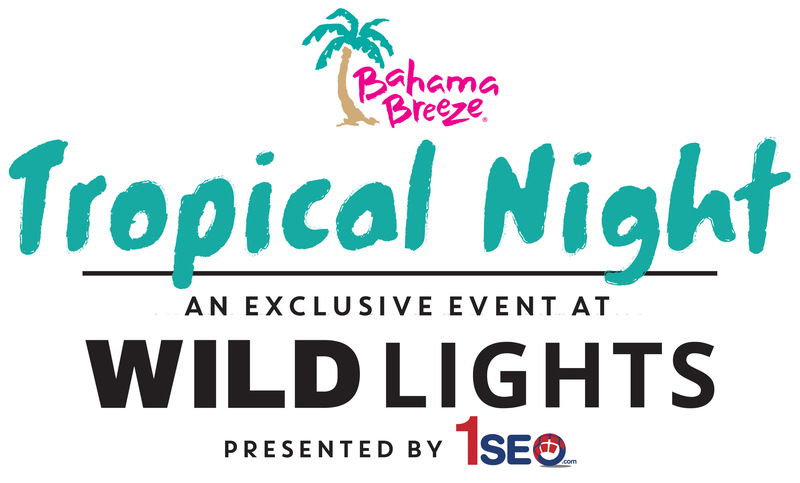 Join us for Bahama Breeze's Tropical Night at Wild Lights! •	This is an adult event. Guests must be at least 21 years old and present a valid photo ID. No babies or children are allowed. •	Guests without a valid photo ID will not be permitted to enter the event area. •	Smoking is not permitted in the Zoo. •	Tropical Night will be held rain, snow, or shine. All proceeds from the event help keep EPZ’s animal collection happy, healthy and warm all winter long!